The winner of Round One works for an architectural firm in the old Hale Brothers Building at 901 Market, so of course he immediately recognized the location of the first photo. For this round, I’m leveling the playing field with a location that is far more obscure. Hint: it’s most likely not where you think it is. Once again, the first person to correctly identify the location will receive a signed postcard of the photo. Have fun and good luck! UPDATE What, no takers? Alright, here’s another clue: it’s somewhere in the Tenderloin. UPDATE #2 Alright, this has dragged on for too long, so here’s one last clue with which I’m essentially giving it away: take a walk along the north side of Geary between Larkin and Hyde. As I’ve already stated in the comments, it’s NOT the Alhambra Apartments. To win, you’ll have to give me the exact address, though you’ll get brownie points if you can also name the building. Filed under Where Is It? I was not quite sure how to get an email to you – so I am doing it this way. My father was one of the owners of The Port Hole that opened 9/1948 @ Mason and Eddy. His name was Bob Crow. I have several old photos which you may enjoy as well as photos from the Pirates Cave. Pirates Cave was owned by a “gentleman” named Villard Sloan or “Checks” as he was known.I do not know if his name is familiar to you or not. Checks and Bob were partners and brothers-in-law. I have just come across this site and am not sure if you have your information in book form, but I sure hope you do. It is past fabulous. Let me know if you have an interest and I will be happy to share my photos with you. Thank you so much for writing, Ter’e! Not only would I love to see the photos you mention, I’d also love to know more about the history of the Port Hole and Pirate’s Cave, and any other Tenderloin-related history. I don’t currently have a book available, but hope one day to have one published. Thanks again, and please check your email. Read it and weep. I was right!!! I wrote the above post and then confirmed it on Google with this. What do I win? Nope! 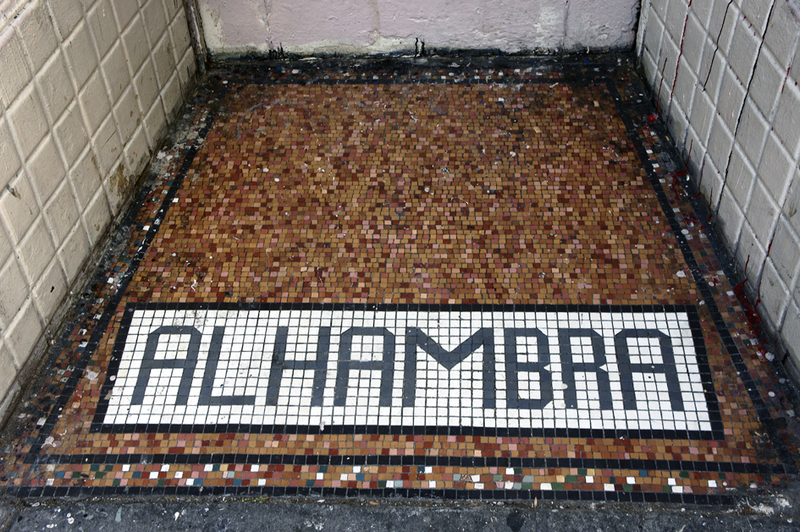 It’s not the Alhambra Apartments (my first hint was that it’s most likely not where you think it is). You are, however, getting very, very warm. I know that at first glance. I say it’s on Geary, close to Larkin?